Suing for a dog bite injury is similar to other personal injury claims. Krupp Law Offices can answer your dog bite questions and explain the process of making a dog bite claim. We have over 85 years of legal experience. If you or a love one has been attacked by a dog it is important to contact a dog bite attorney as soon as possible. HOW DO I SUE SOMEONE FOR A DOG BITE? The process to sue someone for a dog bite is similar to other personal injury claims. We first obtain all the information from you to assess your case. After we get all the information we determine the owner’s liability and extent of damages. We then get the information and send a letter to the owner informing them of your claim and requesting insurance information. We then send a settlement brochure to the insurance company. The settlement brochure will include a statement of the facts of your case, pictures of your injuries, police report, dog bite report, medical bills, and other relevant information. Typically a settlement is reached and the insurance company pays the claim. If an agreement cannot be reached, then a lawsuit is filed in the county circuit court. Michigan has strict liability for dog attacks. The only defense is provocation of the dog. 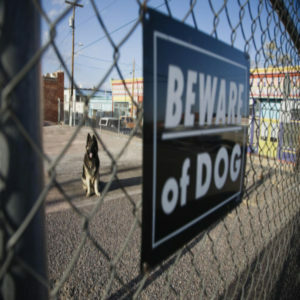 Typically, homeowner’s insurance or renter’s insurance pays dog bite claims for the owner of the dog. The owner’s liability typically does not go beyond the insurance limits. If the owner of the dog is a relative or a friend, you can limit the claim to the insurance policy only so that they will have no out of pocket expenses. HOW MUCH DOES IT COST TO SUE SOMEONE FOR A DOG BITE? It costs nothing to call your office and speak with an attorney about suing for a dog bite. We can explain the process to you and answer all of your questions. We will schedule an appointment with you to meet with a dog bite attorney. We will interview you or your loved one and review the facts. After getting all the information, we will provide you with a written fee agreement. The fee agreement will provide that you will owe nothing in attorney fees if you do not get a settlement. If we obtain a settlement for you, we will receive 1/3 of the settlement for our work on your case. WHAT DAMAGES CAN I RECEIVE IF I AM THE VICTIM OF A DOG BITE? Dog bite claims cover extensive types of damage including medical bills, pain and suffering, lost wages, reconstructive surgery, and other damages you may have suffered. HOW DO I GET STARTED WITH MY DOG BITE LAWSUIT?